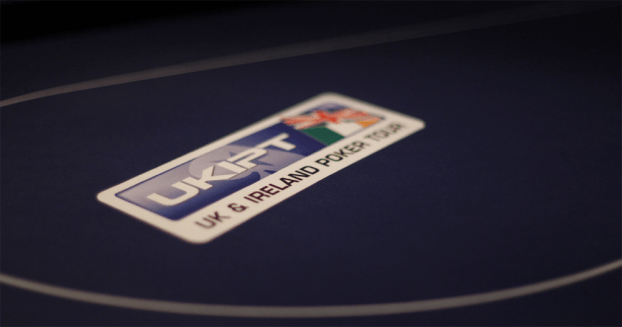 The Full Tilt Poker UKIPT Galway Festival is one of Europe’s biggest poker festivals. Full Tilt Poker is giving away a total of 25 seats to the Main Event which will allow players to play for their share of €1,000,000 in prize money. Players can win their seat this Sundayat 14:30 ET by buying in to one of the qualifiers which range from $50 + $5 or satellite in from $0.50 + $0.05. Sarne Lightman, Full Tilt Poker’s Head of Marketing had the following to say. Both the UKIPT Galway Mega Seat and Package Qualifiers are fantastic opportunities for our players to make sure they’re part of our €1,000,000-guaranteed Main Event. At least 30 seats are guaranteed and all qualifiers will also be part of our Last Longer Sponsorship promotion, with one player winning sponsorship for the rest of the UKIPT season. Below is the full press release about this event. Onchan, Isle of Man – July 19, 2013 – There are at least 25 €1,100 UKIPT Galway Main Event seats to be won in the Full Tilt Poker UKIPT Galway Mega Seat Qualifier, taking place this Sunday, July 21st at 14:30 ET. The UKIPT Galway Main Event will headline the Full Tilt Poker Galway Festival, set to be Europe’s biggest ever poker festival, and players who win a Main Event seat will play for their share of at least €1,000,000 in prize money. Players can buy in directly to the UKIPT Galway Mega Seat Qualifier for $50 + $5 or satellite in from $0.50 + $0.05 – the mega qualifier is a Multi Entry Tournament with up to three entries available. Full Tilt Poker players can also win a prize package to the Main Event in our UKIPT Galway Mega Package Qualifier. Valued at €2,200, each package includes Main Event buy-in, hotel accommodation for five nights and expenses. The UKIPT Galway Mega Package Qualifier kicks off on Sunday, July 28th at 14:30 ET and there are five packages up for grabs. Players can buy in to the UKIPT Galway Mega Package Qualifier for $50 + $5, or satellite in from as little as $0.50 + $0.05. Players who qualify at Full Tilt Poker will be entered in to the Last Longer Sponsorship contest at the UKIPT Galway Main Event (August 8th to 12th). This will see Full Tilt Poker qualifiers compete for an all-access pass to every remaining UKIPT season 4 Main Event, on top of any prize money won.